HARRY SEBASTIAN WAKE Born in England in 1900 and raised in a family of professional musicians and collectors of fine instruments, Harry Wake learned at an early age how to identify and restore classic violins, violas and 'cellos. As a professional 'cellist himself for many years he appreciated good tonal qualities of string instruments. As an engineer and tool designer in his secondary career he was practiced in the skills to handle the repairs and rebuilding of instruments and the use of tools to do the job, including making instruments from an initial block of wood to the finished instrument. And in his later years he put all this together to encourage the art with others by establishing the SCAVM - The Southern California Association of Violin Makers - in 1964. He has enjoyed an enviable reputation as a maker of fine instruments and holder of 37 highest awards won in National competition. Mr. Wake's books and videos are unique in that they give personal "over-the-shoulder" guidance and full-scale plans for making instruments in the violin family. They are used the world over in colleges, universities and violin making schools as well as by individuals who wish to learn the art of the masters. This is almost a "believe it or not" situation. 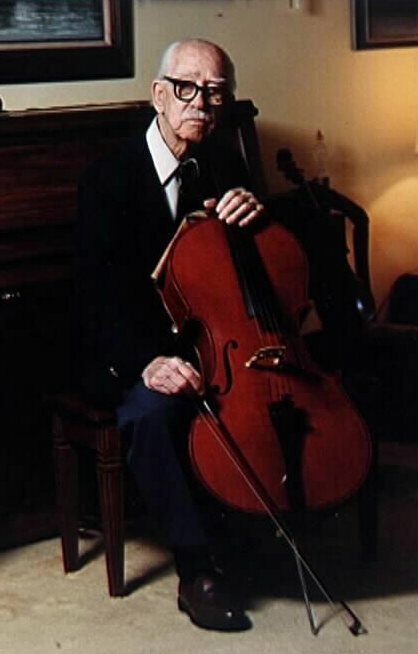 Mr. Wake was very active making instruments, helping others with their questions, writing articles on the subject that he knew so well, and participating in the very active association that he founded, up to the time he died in his 98th year, in February of 1998. Mr. Wake claimed that violin making "kept him young". Try it! For more facts about Harry S. Wake go here: Interesting Facts about Harry S. Wake.